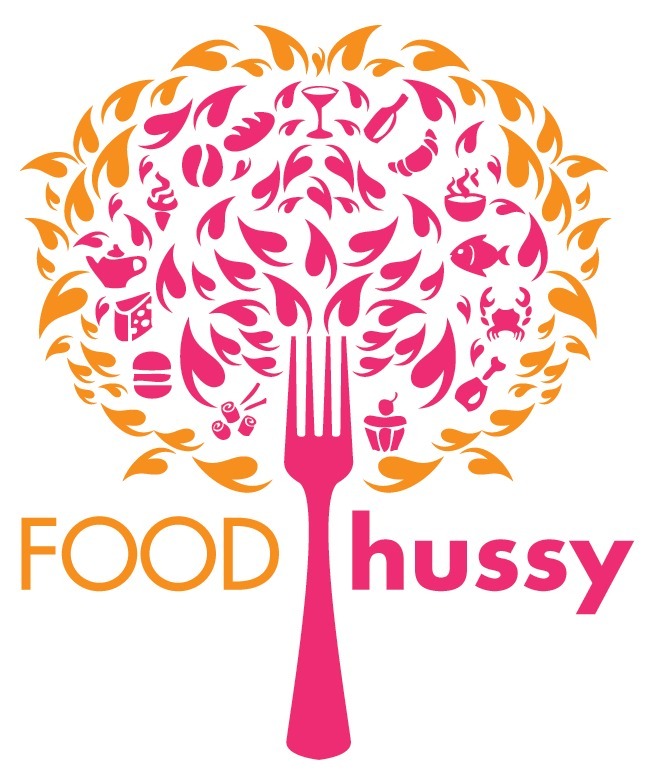 Recipe: Buffalo Cheddar Chicken | The Food Hussy! 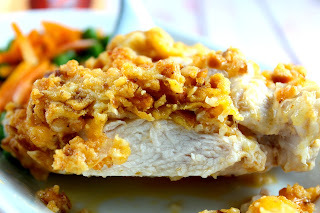 Cheesy, crispy, buttery, crunchy, spicy and juicy - all words to describe my perfect chicken dinner!!! 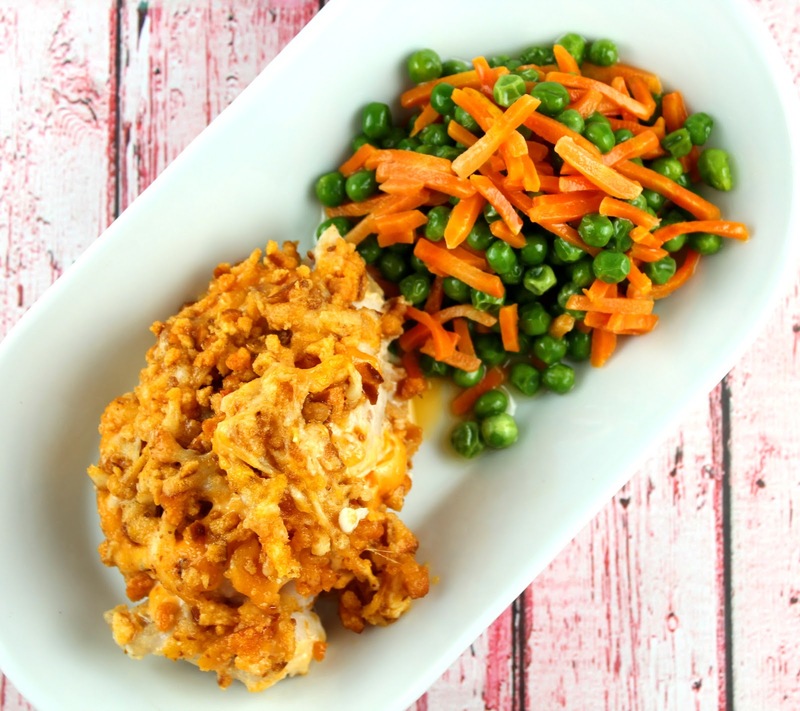 I can't wait for you to try this one - and it has a secret ingredient! Where did I find the magic secret ingredient? Well - I'm always so excited when I get to do a Factory Tour - I don't know if it's the child in me that remembers watching Laverne & Shirley - or what - but I love them! 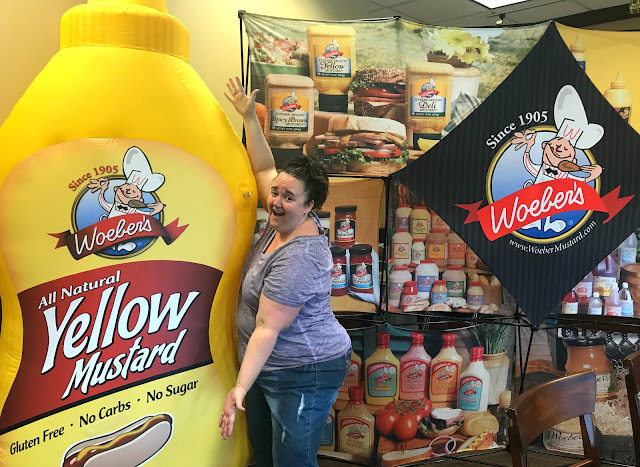 So I was really excited when I was invited to head back to Springfield, OH and visit the Woeber's Mustard Factory! I came across it when I visited Springfield earlier this summer! 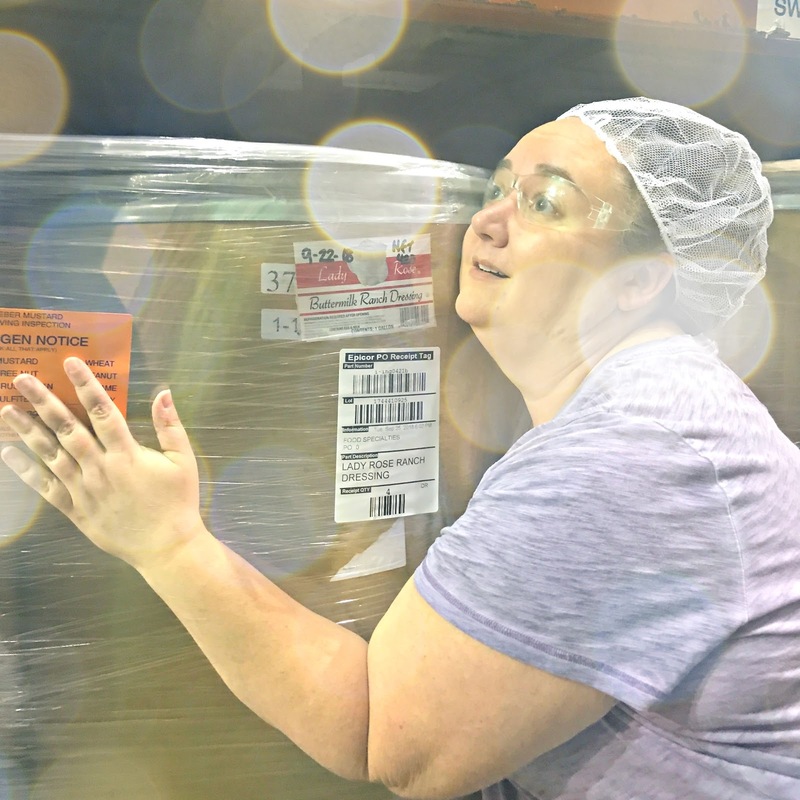 While I was there - I came home with a giant box of Woeber's products and found one that was perfect for my favorite chicken dish! 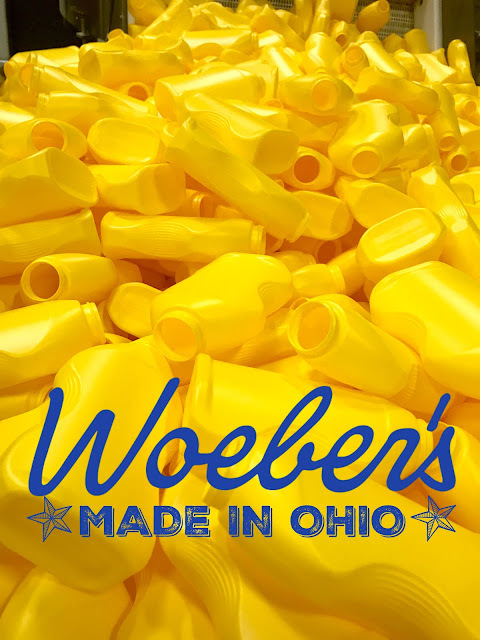 Woeber's might not be a name you recognize but they've been around for over 100 years and they're made right here in Ohio! 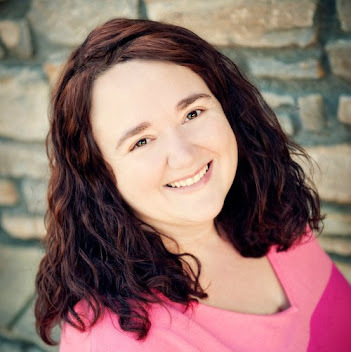 Not only do they make the standard yellow mustard - they make 50 other products in addition to being a supplier and packager for other well-known brands. One of the biggest sellers is actually vinegar. 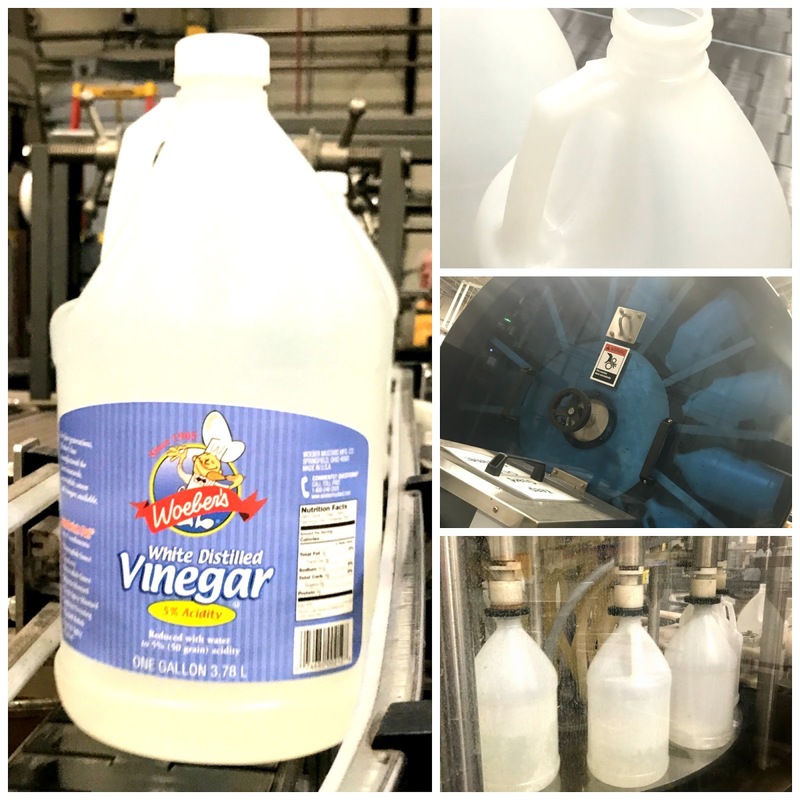 They have ginormous vats of vinegar that they make each and every day. I was surprised to learn that vinegar has "seasons" when sales are higher. The biggest times of year for vinegar sales are spring (cleaning) and late summer (pickling/canning). I also got to see the whole packaging process from empty jug to labeled and ready for store shelves! In addition to their own products - they combine their products with other things to make products for other brands. While we were in the warehouse I found this giant tub of BUTTERMILK RANCH! Like - I'm not kidding - this thing was 4 feet tall and full of my love! I had my friend snap this quick little romantic love shot of me and my ranch. What's the most popular product made by Woeber's?? 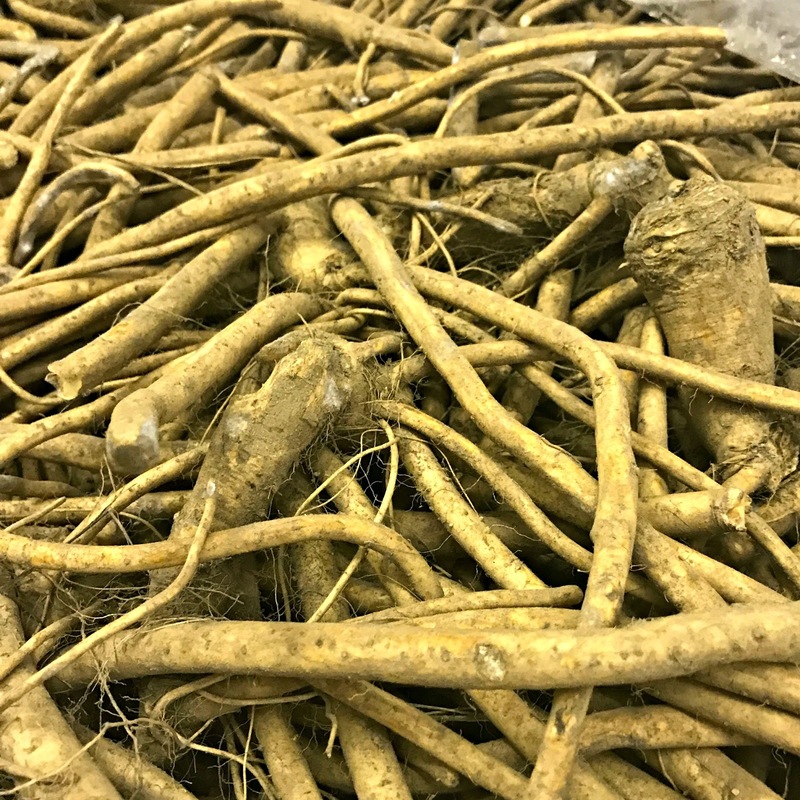 Well - it's made with that pile of roots! Any ideas? It's Horseradish Sauce! Who knew? These dirty roots go through a cleaning spinner and then are ground up into making wonderfully spicy horsey sauce! But of course the star of the show is the mustard! If you want yellow, brown, dijon, horseradish, sriracha, jalapeno, Dusseldorf, honey, craft beer, deli, whole grain, champagne dill or even cranberry honey - Woeber's makes it!! Did you have any idea that there were that many kinds of mustard??? I didn't!!! Holy moly! But now - the secret ingredient!!! Mayo! That's right - Woeber's also makes mayo - actually EIGHT kinds of mayonnaise! When I was perusing the shelves of deliciousness after the factory tour - I found this Kickin Buffalo Mayonnaise and knew I had to get it! It would be a perfect compliment to my Buffalo Cheddar Chicken! Once I had the mayo - I knew what else I needed! Chicken, buffalo pretzels (so yummy), cheddar cheese and a little butter - plus some veggies! As always, I got my groceries from Shipt - delivered right into my kitchen! I have not been to a grocery store since April 2017 - and I love it!!! This post is sponsored by Woeber's. All opinions are my own. This dish goes together so easily - you just mix together crushed pretzels, cheese and butter. Then you coat the chicken breasts with the Buffalo Mayo! Mayo keeps your chicken super juicy - you will definitely not have a dry chicken dinner with this trick! I butterflied the chicken and stuffed it with the cheesy pretzel mixture - then gave it another smack of the Kickin' Buffalo Mayo! It came out perfect! The chicken was juicy and the topping was crunchy and spicy! OMG - so good! You're going to love it!! To make it easy on you - Woeber's has a product locator on their site so you can find your favorite mustard, mayo or horsey sauce easily! I'm excited to support our Ohio brands! If you like spicy, cheesy, crunchy and juicy - this recipe is for you! 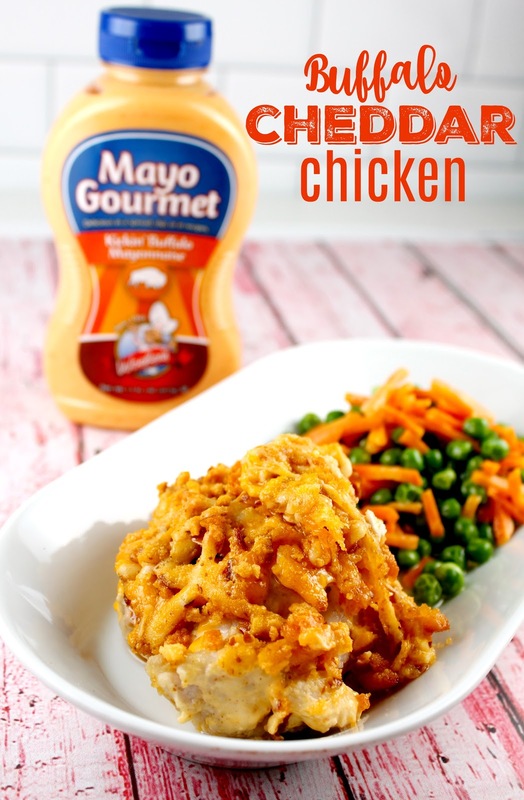 The Buffalo Cheddar Chicken is so good and it's kicked up with Woeber's Kickin Buffalo Mayo! Stuff or top your chicken breast with the pretzel & cheese filling! I want to try Sriracha mustard. You can handle the spicy! :-) Good for you! Another reason I need to try the kickin buffalo mayonnaise! Your recipe sounds amazingly mouthwatering delicious! Thanks - I promise you'll love it! I can’t wait to try this recipe and the buffalo mayo!!! I think this would be a hit with my family! It's so good - you'll love it! I really like many of your products, since I am unable to get out to shop, my shopper always brings something I don't want. Lol. I especially love horseradish and its been a long time since I had it. I would be very pleased to win a bottle of it. I'd love to try the Craft Beer mustard. Thanks for the opportunity and chance to win. That is a popular one!!! Any of these would be great! My boys are huge mustard fans & love trying different ones! Oh my goodness I am so hungry and this looks so good! I thought the pretzels were french fried onions when I saw the picture. I will have to try this for my crew. Those would be good too but I love the pretzel crust! This looks so delicious and I'm sure my family would enjoy it! This sounds so good I’m going to make it tonight. The craft beer mustard sounds intriguing. Oh - how did it turn out? Dusseldorf Mustard is the best! All things Mustard and/or Horseradish PLEASE! Hahaha - well you're easy to please! The Deli Mustard looks good. 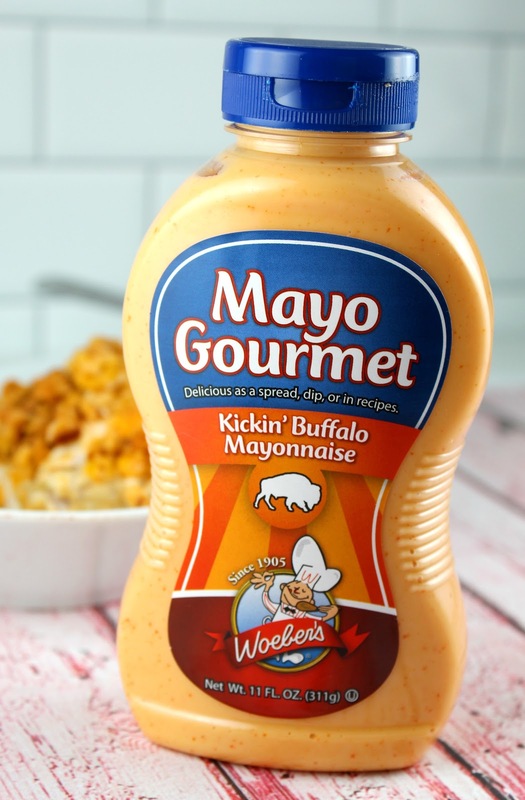 I want to try the kickin buffalo mayonnaise! Awesome looking recipe, i bet its amazing, im going to try it out. Great - let me know what you think! That sounds delightful! Definitely gonna make that this fall!